Don't miss the pop quiz below to test your reading comprehension of this book! Admoni, Yael, "Women in Black Talk About Themselves: Soon, the Book," Jerusalem, March 29, 1991 [Hebrew]. Antler, Ronit, "Five Years in Black", Yediot Aharonot, January 5, 1993 [Hebrew]. Azmon, Yael, "War, Mothers and a Girl with Braids: Involvement of Mothers' Peace Groups in the National Discourse in Israel", Families as Educators for Global Citizenship, J. Myers-Walls, P. Somlaip, and R. Rapoport (eds. ), London: Avebury, forthcoming 1997. Azoulay, Katya Gibel, "Elitism in the Women's Peace Camp", Jerusalem Post, July 2, 1989. Ben, Dorit, "Even the Left Never Loved Them", Ha'Ir, July 26, 1991 [Hebrew]. Ben Artzi, Yossi, "Getting Off the Train", Ha'aretz, February 6, 1989 [Hebrew]. Ben Hamida, Essma, Behind the Palestinian Uprising: A Journey Through the Occupied Territories, Penang, Malaysia and Nyon, Switzerland: The Third World Network and the International Foundation for Development Alternatives, 1988. B'Tselem, The Israeli Information Center for Human Rights in the Occupied Territories, A Policy of Discrimination: Land Expropriation, Planning and Building in East Jerusalem, Jerusalem, May 1995. B'Tselem, The Israeli Information Center for Human Rights in the Occupied Territories, Deportation of Palestinians from the Occupied Territories and the Mass Deportation of December 1992, Jerusalem, June 1993. B'Tselem, the Israeli Information Center for Human Rights in the Occupied Territories, Law Enforcement Vis-à-vis Israeli Civilians in the Occupied Territories, Jerusalem, March 1994. Calderon, Moshe and Yisrael Dorit, "Women in Black", submitted to the course Police, Society, Democracy, Kfar Saba: Beit Berl College, 1995 [Hebrew]. Chazan, Naomi, "Gender Equality? Not in a War Zone! ", Israeli Democracy, vol. 3, no. 2, 1989. Chazan, Naomi, "Israeli Women and Peace Activism", in Calling the Equality Bluff: Women in Israel, Barbara Swirski and Marilyn P. Safir (eds. ), New York: Pergamon Press, 1991. Cohen, Ruth, "Women in Black Step Down", Challenge, No. 22 (Vol. 4, No. 6), Nov.-Dec. 1993. Cohen, Veronika Wolf, "Preparing for Shabbat: The Vigil", Women in Black National Newsletter, Fall 1992, No. 3. Colombo, Anna, "Even at the Price of Being Oppressed", Women in Black National Newsletter, Winter 1992-93, No. 4. Coogan, Goga, "Friday, You Know", Hotam, May 19, 1989 [Hebrew]. Cook, Alice and Gwyn Kirk, Greenham Women Everywhere: Dreams, Ideas and Actions from the Women's Peace Movement, London: Pluto Press, 1983. Deutsch, Yvonne, "And Peace Shall Multiply Like Mushrooms", unpublished essay. Deutsch, Yvonne, "Israeli Women: From Protest to a Culture of Peace", in Walking the Red Line, Deena Hurwitz (ed), Philadelphia: New Society Publishers, 1992, pp. 46-55. Espanioly, Nabila, "Palestinian Women in Israel: Identity in Light of the Occupation", in Women and the Israeli Occupation: The Politics of Change, Tamar Mayer (ed. ), London and New York: Routledge, 1994, pp. 106-120. Espanioly, Nabila, "Palestinian Women in Israel Respond to the Intifada", in Calling the Equality Bluff: Women in Israel, Barbara Swirski and Marilyn P. Safir (eds. ), New York: Pergamon Press, 1991, pp. 147-151. Espanioly, Nabila and Dalia Sachs, "Peace Process: Israeli and Palestinian Women", Bridges, Vol. 2, No. 2, Fall 1991. Falbel, Rita, Irena Klepfisz, and Donna Nevel (eds. ), Jewish Women's Call for Peace: A Handbook for Jewish Women on the Israeli/Palestinian Conflict, Ithaca, N.Y.: Firebrand Books, 1990. Finkel, Gilberte, A History of the Women's Liberation Movement in Israel, unpublished manuscript, June 1981. Finkel, Gilberte, "Von der Kibbuz: Bewegung zum Schweigemarsch" in Argument-Sonderband 176, 1990, pp. 56-80 [German]. Fishkoff, Sue, "The Longest Hour of the Week", Jerusalem Post, December 6, 1991. Galili, Lily, "250 Weeks on the Plaza", Ha'aretz, January 3, 1993 [Hebrew]. Gilboa, Nahman, "Everything Is Always a Coincidence", Al HaMishmar, September 7, 1990 [Hebrew]. Haran, Leora, "Women's Protest Activity in Israel Against the War and For Peace", submitted to the course Women and Politics, Kfar Saba: Beit Berl College, October 1994 [Hebrew]. Harris, Adrienne and Ynestra King (eds. ), Rocking the Ship of State: Toward a Feminist Peace Politics, Boulder, San Francisco, and London: Westview Press, 1989. Harpaz, Yoram, "They Don't Shoot, They Don't Cry", Kol Ha`Ir, March 10, 1989 [Hebrew]. 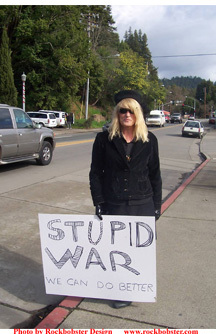 Helwig, Maggie, "Wearing Black for the Enemy", Peace News, November 1993. Hundley, Tom, "The Vigils Are Black and White, Not the Issue," Chicago Tribune, July 17, 1990. Hurwitz, Deena (ed. ), Walking the Red Line: Israelis in Search of Justice for Palestine, Philadelphia: New Society Publishers, 1992. Kaminer, Reuven, The Politics of Protest: The Israeli Peace Movement and the Palestinian Intifada, Brighton, U.K.: Sussex Academic Press, 1996. Katz, Shira, "New Agendas of the Women's Movement for Peace: To Be or How To Be? ", Challenge, May-June 1995, No. 31. Land, Randi Jo, "A Separate Peace? ", Jerusalem Post, June 29, 1989. Lentin, Ronit, "Woman — The Peace Activist Who Isn't There: Israeli and Palestinian Women Working for Peace", the Irish Peace Institute Research Center, University of Limerick [undated, but issued in 1995]. Levy, Vered, "A Feeling of Power", Al-HaMishmar, January 1, 1990 [Hebrew]. Livne, Neri, "Letter from the Front: The New Israeli Left: It Looks Like a Comeback for Jerusalem", Koteret Rashit, April 20, 1988 [Hebrew]. Livne, Neri, "Seeing Black", Hadashot, September 7, 1990 [Hebrew]. Maranz, Felice, "The Sexual Battlefield", Jerusalem Report, December 5, 1991. Mayer, Tamar (ed. ), Women and the Israeli Occupation: The Politics of Change, London and New York: Routledge, 1994. Montell, Jessie, "Israeli Identities: The Military, the Family and Feminism", Bridges, Fall 1991. Morris, Benny, The Birth of the Palestinian Refugee Problem, 1947-1949, Cambridge: Cambridge University Press, 1987. Nehorai, Yair, "A Kach Spy Demonstrates With Women in Black," Yom Shishi, June 29, 1990 [Hebrew]. New York Times, "Officers Break up a March in Israel," December 30, 1989. Nissen, Alex, Womyn in Black, manuscript, Australia, 1995. Nunn, Maxine Kaufman (ed. ), Creative Resistance: Anecdotes of Nonviolent Action by Israel-Based Groups, Jerusalem, Alternative Information Center, July 1993. Ostrowitz, Rachel, "Dangerous Women: The Israeli Women's Peace Movement," in Jewish Women's Call for Peace: A Handbook for Jewish Women on the Israeli/Palestinian Conflict, Rita Falbel, Irena Klepfisz, and Donna Nevel (eds. ), Ithaca, New York: Firebrand Books, 1990. Pogrebin, Letty Cottin, Deborah, Golda, and Me: Being Female and Jewish in America, New York: Crown Publishers, Inc., 1991. Rappaport, Tamar and Sarit Hellman, "The Secret of Their Survival", Women in Black National Newsletter, Spring 1993, No. 5. Reardon, Betty, Sexism and the War System, New York: Teacher's College Press, 1985. Richman, Elizabeth A., Edited Out: Israeli Women's Peace Groups After 1967, senior thesis, Woodrow Wilson School of Public and International Affairs, Princeton University, 1996. Roy, Sara, "The Gaza Strip: A Case of Economic De-development", Journal of Palestine Studies, vol. 17, no. 1, pp. 56-88. Roy, Sara, The Gaza Strip Survey, Jerusalem: The West Bank Data Base Project, 1986. Rubinstein, Danny, "The Mothers of Paris Square", Davar, November 11, 1988 [Hebrew]. Ruddick, Sara, Maternal Thinking: Toward a Politics of Peace, New York: Ballantine Books, 1989. Safran, Hannah, Alliance and Denial: Feminist Lesbian Protest Within Women in Black, Master's Project for Simmons College, Boston, n.d.
Schiff, Zeev and Ehud Ya'ari, Intifada: The Palestinian Uprising, Israel's Third Front, New York: Simon and Schuster, 1990. The Hebrew version was also published in 1990 by Schocken Publishing House Ltd. in Jerusalem and Tel-Aviv. Schrag, Carl, "Staking a Claim for Peace: Grassroots Peace Movements in Israel", Israel Scene, April/May 1990. Schultz, Marylene, "Standing Up for the Children", Women in Black National Newsletter, Winter 1992-93, No. 4. Sela, Michal, "Five Years of Roses and Rotten Eggs," Davar, January, 1993 [Hebrew]. Shadmi, Erella, "Occupation, Violence, and Women in Israeli Society", Women in Black National Newsletter, No. 5, Spring 1993. Shadmi, Erella, "Politics Through the Back Door", Ha'aretz, February 24, 1992 [Hebrew]. Shadmi, Erella, "Women in Black: The Construction and Problematics of a Feminist Practice", unpublished manuscript. Shalom, Chaya, "The Violence Continuum", Women in Black National Newsletter, Fall 1993, No. 6. Shamroukh, Ziyad Abbas, Ingrid Gassner-Jaradat, and Maxine Nunn (eds. ), Palestine and the Other Israel: Alternative Directory of Progressive Groups and Institutions in Israel and the Occupied Territories, Jerusalem: Alternative Information Center, Jerusalem, January 1993. Sharoni, Simona, "Every Woman is Occupied Territory: The Politics of Militarism and Sexism and the Israeli-Palestinian Conflict", Journal of Gender Studies, vol. 1, no. 3, pp. 447-462, 1992 (Special Issue: Gender and Nationalism). Sharoni, Simona, "Homefront as Battlefield: Gender, Military Occupation and Violence Against Women", in Women and the Israeli Occupation: The Politics of Change, Tamar Mayer (ed. ), London and New York: Routledge, 1994. Simona Sharoni, "Inside Israel: Is Feminism a Threat to National Security?" Ms., Vol. III, No. 4, January/February 1993. Sharoni, Simona, "Search for a New Feminist Discourse", Challenge, Vol. 4, No. 5, September-October 1993. Silver, Eric, "What Now for Peace Now? ", The Jerusalem Report, March 7, 1991. Spink, Kathryn, Black Sash, London: Methuen, 1991. Susskind, Yifat, "Tourist Mentality Activism", Women in Black National Newsletter, Winter 1992-93, No. 4. Svirsky, Gila, "The Long Ride to Silwan", Tikkun, Vol. 7, No. 2, March/April 1992. Svirsky, Gila, "Women as a Symbol of Power", Jewish Women's Peace Bulletin, No. 6‑7, October 1990. Svirsky, Gila, "Women in Black", Present Tense, Vol. 16, No. 4, May/June 1989. Svirsky, Gila, "Women in Black Resist Violence", Woman of Power, Fall, 1991, Issue 21, pp. 56-58. Svirsky, Gila, "Zionist Reasons for Being Anti-Occupation," Walking the Red Line: Israelis in Search of Justice for Palestine. Philadelphia: New Society Publishers, Deena Hurwitz (ed. ), 1992. Wuendisch, Barbara, "Women in Black", submitted to the course Perspectives on Women in Israel: Myth and Reality, Jerusalem: Hebrew University, 1994. Wolfsfeld, Gadi, The Politics of Provocation: Participation and Protest in Israel, Albany: State University of New York, 1988. Women in Black National Newsletter, G. Svirsky (ed. ), Issues 1-6, January 1992 - Fall 1993. Young, Elise, Keepers of the History, New York: Teachers College Press, 1992. Which of the following images shows a real Woman in Black? Correct answers will be rewarded in heaven.